Rock Fest Barcelona is confirming a new batch of bands for its 2019 edition. To the already confirmed Def Leppard (only show in Spain), ZZ TOP (only show in Spain), King Diamond (only show in Spain), Demons & Wizards, Therion, Testament, Dee Snider, Napalm Death, Hammerfall and many others, now we can add another series of bands to the event, which will be held from July 4th to July7th 2019 at Parc de Can Zam in Santa Coloma de Gramenet, Barcelona. The kings of progressive metal need no introduction. With their new record, “Distance Over Time” weeks from being released, the american band is coming back to Rock Fest Barcelona during their summer european festival jaunt. Their musical excellence and their characteristic writing ability have made them become classics of our time, something they have confirmed more than enough with records like “Scenes From a Memory”, “Images and Words” and “Six Degrees of Inner Turbulence”. Rock Fest Barcelona welcomes one of the most vanguardist and complex bands in metal throughout the last thirty years. To marry extreme metal and melody is not a particularily easy task. Neither is bringing it to a new generation of fans. Somehow, Arch Enemy have managed both things and have become a mainstream band for those who like the harder edge of things and the catchy riffs and melodies. Arch Enemy are coming to Rock Fest Barcelona for the first time still on the “Will to Power” touring cycle and with a new record on the horizon for next year. The german rock band Boehse Onkelz is coming for the first time ever to Spain with an exclusive show at Rock Fest Barcelona after a long period of inactivity in the scene. After releasing more than twenty studio and live records, the teutonic band is back with an special live show for their fans to enjoy. They were one of the most active and important bands of the 90’s in the german rock scene and they are an amazing live band. Their more than thirty years playing heavy metal in the best world stages is more than enough to introduce UDO. They will be at Rock Fest Barcelona 2019 with razorblade throated singer Udo Dirkschneider at the front. They are one of the mainstays of festivals and their show is always one full of metal anthems old and new. Their most recent “Steelfactory” is a testament of how a band can keep being loyal to their fans without being boring. The essence of the most primitive and pure thrash metal will be represented in Rock Fest Barcelona thanks to Sacred Reich. The Phoenix based band were one of the pioneering bands of the genre with their authentic and powerful sound. After a fifteen year run from 1985 to 2000, they reunited again in 2007 and have been playing together again since then. Swedish doom metal giants Candlemass are back in Rock Fest Barcelona after their 2016 gig. The heavier and plowing sounds of the band will echo on the giant twin stages of the festival and remind us why they are pioneers in the most epic variation of what Black Sabbath once sparked many moons ago. Their show at Rock Fest will be a good chance to hear live for the first time the songs from their EP “House of Doom” and many of their classics. After the great success they had supporting Europe in Spain, King King will be back exclusively at Rock Fest Barcelona 2019 to bring the audience in Santa Coloma de Gramenet their brand of hard rock with influences from blues and jazz that’s so catchy. The brits, led by Alan Nimmo, released their last studio record, “Exile & Grace” and a three-song EP, “Outtakes and Rarities” in 2017. 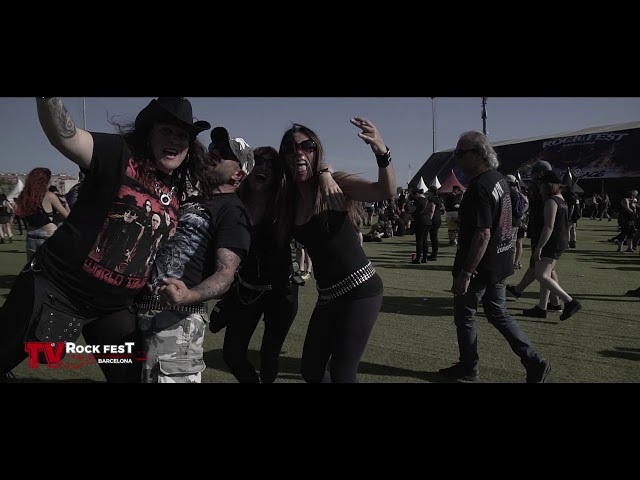 Rock Fest Barcelona will be the place to get them introduced to a lot of new people.